Isn’t that just the best book title ever? 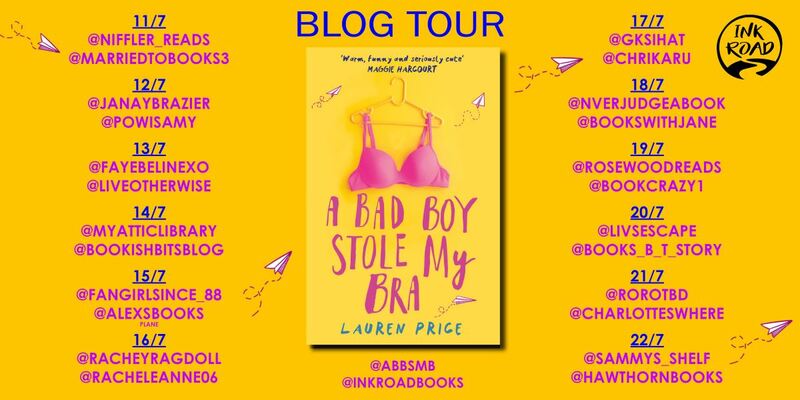 When I spotted the shout out for bloggers to take part in the blog tour I just couldn’t resist, and the cover is just as in your face as the title. A great combination – it’s going to zing in book shops. An unedited version of the book was published on Wattpad previously, attracting over 101 MILLION hits (I can only dream) and reaching number 3 in the ‘Most Viral’ category. That’s an amazing pool of enthusiastic beta-readers – this is going to be a massively talked about book! It’s fun, lots of fun. Perfect beach* read for the summer, and perfectly timed as schools break up. And at the moment it’s a bargain on kindle, under £3, so feel free to click on the handy affiliate link above and grab yourself/your favourite teenager a copy. *insert holiday destination of your choice.